We’re entering the homestretch without baseball folks. These next seven days will be the last without baseball activities for the next eight-and-a-half months. Hang in there, pitchers and catchers will be reporting before you know it. The first workout for pitchers and catchers will follow next Wednesday and then position players will be required to report by February 17. The club’s first full workout is February 18, just five days before their Spring opener against the Minnesota Twins. That’s a split-squad game, so don’t expect manager Brandon Hyde to tip us a hint towards his Opening Day lineup. Although, we’ll certainly see a multitude of pitchers throughout the first few weeks of the exhibition season. There’s plenty of battles that’ll be taking place in camp this season. You’ve got the catcher position battle and the battle for right field. At least two starter slots are open and then there’s the thought of who claims which infield position. We’ve also got the bullpen to consider. There’s plenty of pitchers in camp. Plus, the team has sent out invitations to eight pitchers that aren’t on the 40-man roster. The Orioles are projected to carry a seven-man bullpen to open the season and there may only be as little as three spots to be won. 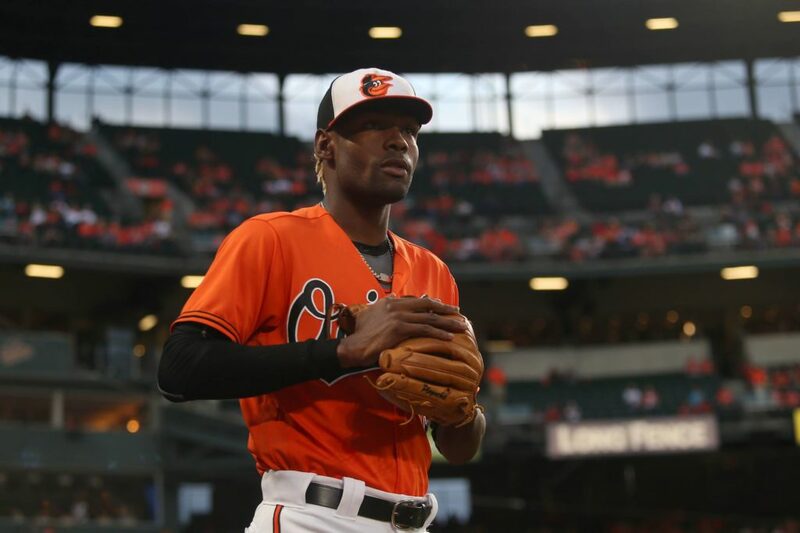 Mike Wright Jr. may find his way back into the bullpen to at least begin the 2019 season. He’s out of options so he either has to make the club or he’ll be released on waivers. I personally feel as if he’d be claimed quickly and am looking forward to seeing him work with new pitching coach Doug Brocail. If Rule-5 pick Pedro Araujo is going to remain in the organization, he’ll have to be on the 25-man roster to open the season. He hasn’t quite reached his 90-day active status though, he’s a mere 17 days away. That’s a decision manager Brandon Hyde will have to make. So who could get the remaining three spots open, if the team carries a seven-man ‘pen? We’re still way too far out to start pencilling in the roster for the team’s March 28 opener in New York, but let’s throw some names out. Tanner Scott has been a recognizable name over the years in the organization. After being drafted in the 6th round of the 2014 Amateur Draft, Scott appeared in just 10 games last season at Triple-A Norfolk before being promoted to the majors. He’s still able to hit triple digits with his fastball and compliments it with a low 90s slider. Last season through 53.1 innings pitched, Scott’s strikeout per nine rate was 12.8, the highest among team relievers. He ended the season with 76 punch outs, three shy of the team lead, but allowed 28 walks and finished with a 1.556 WHIP. Miguel Castro was a workhorse for the team last season. He led the team with 83.2 relief innings pitched and finished the season with a respectable 3.66 ERA in 62 appearances. He did have one start back on July 13. He worked two-and-two-thirds of an inning, walking three. He gave up just one hit but allowed four earned runs. Castro’s fastball ranked in the 83rd percentile in 2018, averaging 95.9 miles per hour and can mix in a slider and change up to throw hitters off balance. Paul Fry is a guy that could find himself on the Opening Day roster as the team’s LOOGY (Left-Handed One Out Guy). He appeared in 35 games last season, finishing the year with a modest 3.35 ERA over 37.2 innings. 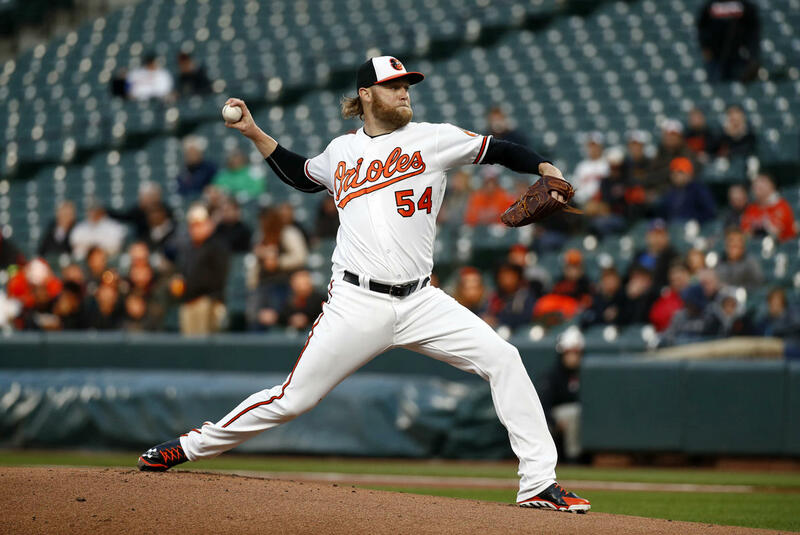 His ability to induce ground ball outs is a plus pitching at Oriole Park at Camden Yards. Last season his ground out to fly out ratio was 2.13, much higher than the 1.03 major league average. Hunter Harvey (if he can stay healthy), Cody Carroll and Donnie Hart may find themselves on the 25-man roster at some point this season, too. Also really pulling for Branden Kline to make some noise this spring. His adversity should make anybody a fan. Kline was a guest on 105.7 The Fan’s Hot Stove show last Thursday.